Assuming that I’ve got fresh installation of vSRX devices, let’s start this setup from the beginning itself i.e. 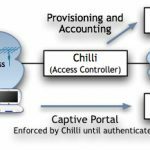 definition of root authentication, system hostname, interfaces and security zones. In real scenario, you might also want to configure DNS, DHCP, NAT, and so on. Here, KTM vSRX has two interfaces: ge-0/0/0 connecting to ISP router and ge-0/0/1 connecting LAN. Junos, by default comes with two security zones named trust and untrust, and their corresponding interfaces assignment. I usually like to delete the default config and set my own custom configuration. I’m defining a security zone called DC-Net containing LAN and interface ge-0/0/1. All system services will be allowed from this zone to the device. Similary, I’m creating another security zone named as Public-Net containing interface ge-0/0/0, which is facing the ISP. Only Ping and IKE traffic will be allowed from this zone to the device. I also define the address books for the networks and hosts in the zones I created. 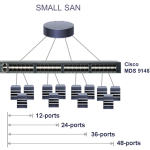 This helps in easier identification, categorization and use of networks and hosts during the configuration process. It also makes things extremely quick and effective when we need to make modifications in addresses or associated configurations. 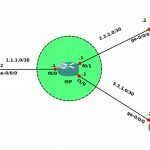 Before completing our basic configuration, let’s also add a default route using next hop address as the ISP router’s IP address. Now, begins the section where we actually configure our IPSec VPN. IPSec contains two phases: Phase 1 – IKE Association and Phase 2 – IPSec VPN. So, let’s first setup our IKE configuration. Defining the IKE proposal is the next thing we need to do. This proposal creation process can be skipped if we would like to use the available proposal sets (basic, compatible or standard). Then, we need to configure the IKE phase 1 policy. Here, we mainly choose the mode, proposal and pre-shared key for the VPN. For now, I’m using main mode as I’ve got static IP addresses at both of my peers. However, we would need to set aggressive mode if we’ve dynamic IP address at one of the peers and then, the peer with dynamic IP should be the one to begin the IKE negotiation. We then call the proposal we defined above and set the pre-shared key for authentication between the peers. The last step in Phase I is to configure IKE gateway. Here, we call the policy we created above, set the peer’s IP address and external interface participating in VPN. Now that we’ve got our IPSec Phase I configuration completed, we can proceed to the Phase II of the VPN. Basically, our Phase I will create a tunnel between the two participating peers and Phase II will control the traffic flowing through this tunnel. In phase II, we define proposal, policy and VPN to complete our IPSec setup. Then, let’s define the IPSec phase II policy with the appropriate PFS option and proposal. To complete our IPSec Phase II config, let’s define a VPN which will later be referenced by the security policies to pass traffic between remote sites. To set it, we need to provide the IKE gateway that we created in the phase I gateway configuration and the IPSec policy. We can also provide additional option like “establish-tunnels immediately” to start VPN as soon as the necessary conditions are met. This completes our IPSec VPN configuration in Juniper Networks device. 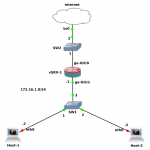 Well, as the title of this post suggested, this is an example of a Policy based IPSec VPN. So, the security policies play a very important role in this setup as they’re the ones which control the IPSec traffic. Let’s just begin the configuration of security policies with the outbound connections i.e from zone DC-Net to zone Public-Net. These policies will match all the traffic originating from DC-Network to PKR-Network and pass them through the IPSec VPN tunnel called KTM-PKR-VPN that we created above. We also define a pair-policy for the traffic matching the reverse connections. This policy is for all the normal traffic that originate from the internal network and are destined to the external network or Internet. Make sure this policy is placed after the policy for IPSec traffic, otherwise it’ll match everything and take its actions even for the IPSec traffic. If you’ve got your IPSec related security policy after this type of policy, use insert to place it before other policies. Conversely, let’s also define security policies for the inbound traffic i.e. from Public-Net zone to DC-Net zone. It’s much like the security policy for outbound connections except that it matches opposite source and destination addresses. The tunnel pair-policy is the policy we created above for inbound traffic. This completes our entire configuration in KTM device for the proposed Policy based IPSec VPN. Now, we need to configure our next peer i.e. PKR device according to the IPSec parameters that we defined in KTM device. Otherwise, the IPSec VPN won’t work. But before we setup PKR device, let’s first prepare our ISP router. In real scenario, we don’t have access to ISP router. However, since this is my internal lab, I need to configure it to make this lab work. In ISP router, all I need to do is to assign the IP addresses to its interfaces as shown in the topology above. Actually, all of the configuration required in PKR is almost similar to that of KTM device. So, I’m just putting the entire config statements without any explanation. As of now, we’ve completed the IPSec VPN configuration in both of our vSRX devices. So, let’s verify if our configuration is working properly or not. Since we trying to setup an IPSec VPN in this lab, let’s first check its status. Well, our Phase 1 or IKE security association is up and running. This is good and expected. Let’s also view its details. From the information provided, it’s evident that the KTM device is acting as a responder for IKE negotiation and most of the other information include parameters defined during proposal creation. It also displays the traffic statistics and status of IKE SA. Next, let’s check the status of IPSec Phase II or IPSec Security Association. To test the traffic flow through the IPSec tunnel, we can just ping some host in one LAN from a host in another remote LAN. 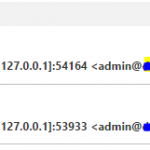 Since our security policy is configured to allow ICMP traffic, the hosts should be pingable from each other. On pinging hosts over IPSec tunnel, we can also monitor the traffic flow in the vSRX device.